This is not the first time Chase has expressed critical opinions regarding the show. 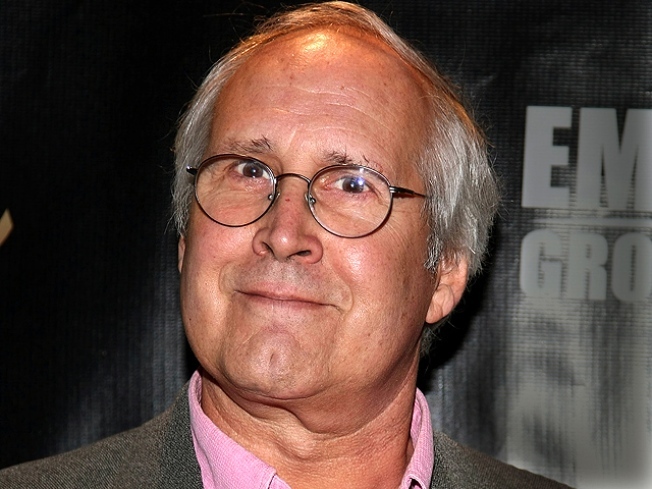 Chevy Chase had yet another "outburst" on set of NBC's Community, as reported by Deadline and confirmed by his rep to E! News. The 69-year-old actor, who has voiced his opinions regarding the show numerous times, this time utilized the N-word. Chevy Chase rants at Community creator in newly released voice mail and calls the show "mediocre sitcom"
However, it apparently was not directed towards African-American castmates Donald Glover and Yvette Nicole Brown but rather his discomfort with the way things were going with his narrow-minded character, Pierce, in which he suggested he may next be asked to call Glover's character Troy or Brown's character Shirley the N-Word. He also reportedly "apologized immediately" to his fellow castmembers. But as he's expressed before, Chase has not had the smoothest ride while being on the NBC show. Chase even revealed to The Huffington Post UK: "It was a big mistake [taking the role]! I just sort of hung around because I have three daughters and a wife, and I figured out I might as well make some bread every week, so I can take care of them in the way they want." Check out what to watch this Fall on TV! He also added: "The hours are hideous, and it's still a sitcom on television, which is probably the lowest form of television." So what has kept the man on the show? "I think the reason I have stuck around is because I love these kids, the cast--they are very good." However, the feelings might not be mutual as Yvette took to Twitter in what may be a related post, tweeting, "I have the gift of walking away. Always have. #ThatIsAll." In other news, check out the best things in pop culture this week!